What year is it?! 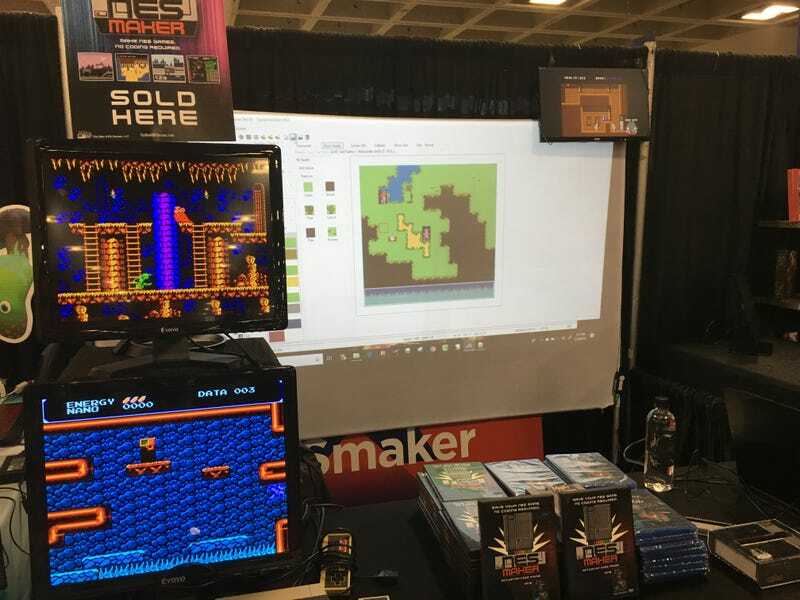 If you still want to make 8-bit NES games, you can demo and buy “NES Maker” software here at GDC, which lets you create an NES game with a GUI interface, no programming necessary. The games you make can run on actual NES hardware.